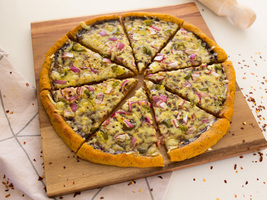 / What is in Gluten-Free Pizza Crust? 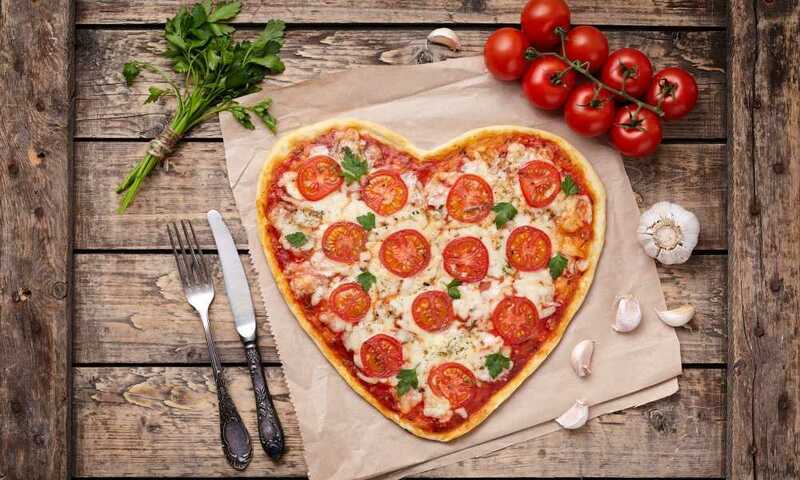 Being very much a global dish, pizza transcends time and culture and nobody should be forced to live without it, regardless of their dietary requirements. 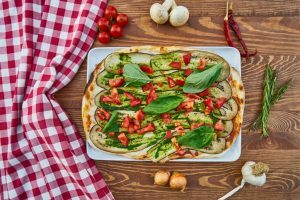 Celiacs and those who are gluten intolerant may not be able to enjoy a slice of traditional pizza, but there is, as with many foods, a gluten-free option for them to sink their teeth into. 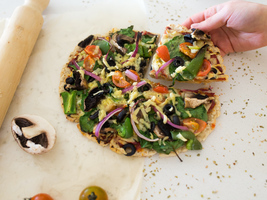 What is in Gluten Free Pizza Crust? Where Can I Get Gluten-Free Pizza? If you are a pizza lover and have recently converted to a gluten free diet, you likely have a lot of questions about gluten free pizza. Does it taste as good as traditional pizza? Where can you get it? 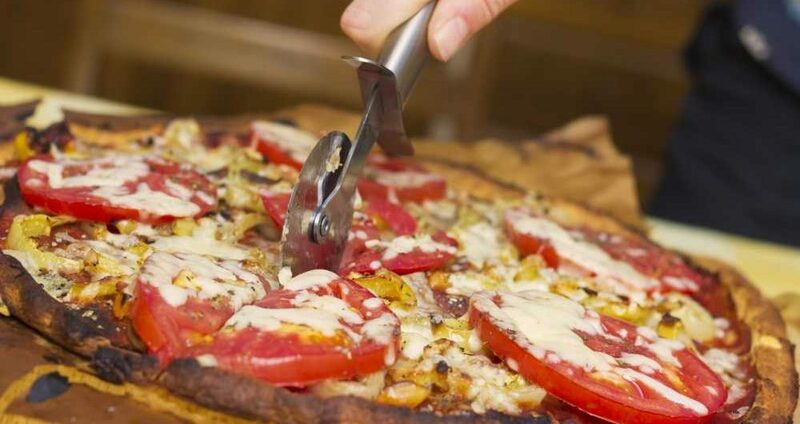 What is in a gluten-free pizza crust? We’re going to answer those questions today. 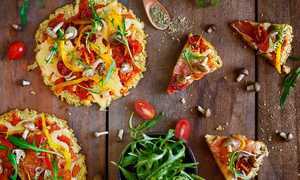 A mainstream pizza generally features a crust primarily composed of wheat flour, which, as you likely know from personal experience, is something you definitely do not want to be putting into your system if you have an intolerance to gluten. 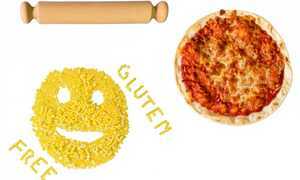 A gluten-free pizza crust contains no wheat flour, although what is used as a wheat flour alternative will vary from recipe to recipe. 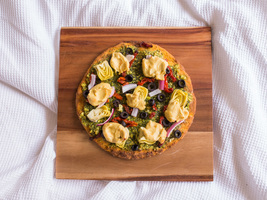 Many gluten free pizza crusts are made using a rice flour of some kind – gluten free chefs have their choice between white and brown rice – although some claim rice-based gluten-free pizza crust is too flaky to properly mimic a traditional pizza crust and so prefer to use something like tapioca flour. 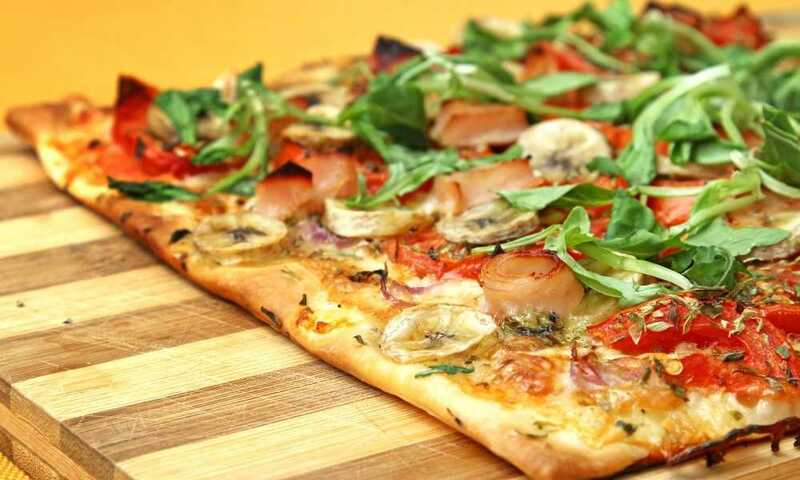 Although the crust of a pizza is never considered to be the most delicious or flavorful part of the meal, some gluten-free bakers like to season their crusts with certain vegetables for an extra kick, with garlic and onion being among the most commonly used. Finding a restaurant that caters to gluten-free customers is much easier said than done. 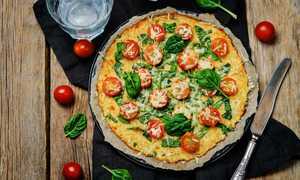 Although many of the big-name pizzerias offer a number of gluten-free alternatives to their most popular pizzas, many smaller chains are yet to introduce a menu for celiacs and those who prefer not to eat gluten, so you can’t walk into a random pizzeria in Manhattan and be certain they will have an option for you. Some may say that this is for the best, as a lot of the smaller pizzerias that do offer gluten free options prepare their gluten-free pizzas with the same tools and equipment that they use when preparing their regular pizzas, so there’s a chance – albeit a small one – that a gluten-free pizza purchased from a pizzeria will still aggravate your gluten sensitivity. Many gluten-free pizza lovers prefer to purchase their pizza frozen from their local grocery store. This is generally less expensive than purchasing a gluten-free pizza from a pizzeria and is, in some ways, more convenient, as it allows you to store your pizza in your freezer until you are ready to cook it a day, two days, or even a week later. Unfortunately, frozen gluten-free pizzas may not be an option if you live in a small town. 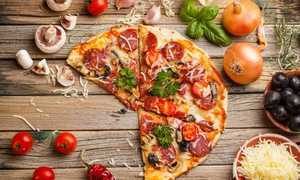 Most grocery stores located in big cities cater to a wide range of diets and so stock frozen gluten-free pizzas, but their small town counterparts often only sell pizzas with wider appeal. 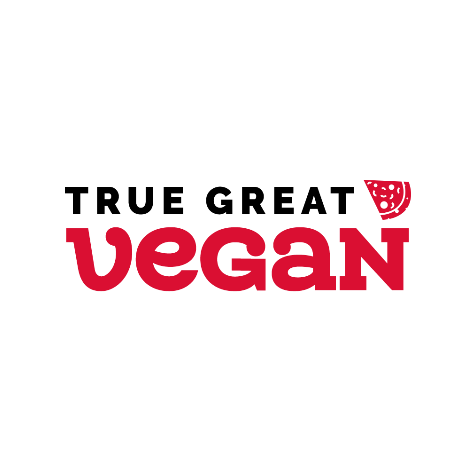 There is also the issue that many brands that manufacture frozen gluten-free pizzas also manufacture traditional frozen pizzas, which brings us back to the earlier issue of not being able to be 100% certain that your gluten-free pizza does not contain small traces of gluten. Annoyingly, it seems that the only way you can be absolutely certain your gluten-free pizza is indeed gluten free is to make it yourself. This may seem a little intimidating at first, but all the necessary ingredients, including gluten free pizza crust mix, can be found both online and in stores. One of the greatest challenges of converting to a gluten-free diet is retraining your taste buds. The recalibration of one’s palate is necessary upon embarking on a gluten-free lifestyle as many gluten-free foods do not taste as good as their non-gluten alternatives. Thankfully, this is not the case with pizza. 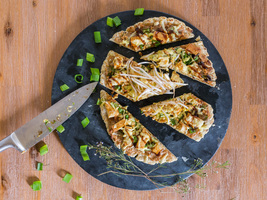 Because the flavor of a pizza largely depends on its toppings, the replacement of your pizza’s crust with a gluten-free alternative is unlikely to have any major impact on how it is received by your taste buds and the taste buds of those you share it with. 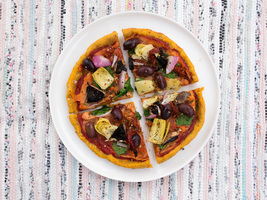 You will likely notice a difference in texture, regardless of whether your crust contains rice flour or another wheat flour alternative, but find the right recipe and your gluten free pizza will taste every bit as good as the pizza you enjoyed back when you and gluten were still an item.